Experiment #60 is a Gaffer X Northstar collaboration to produce a more workable cadmium red. 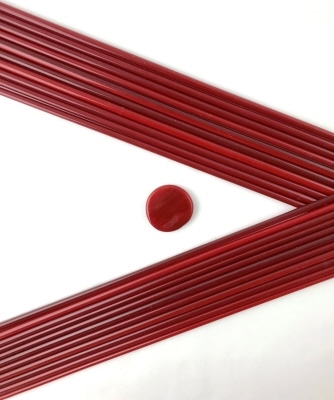 These rods are a 2 tone dark cadmium red with light red streaks and or light red core. This glass has less cadmium content making them easier to use in variety of flame environments.